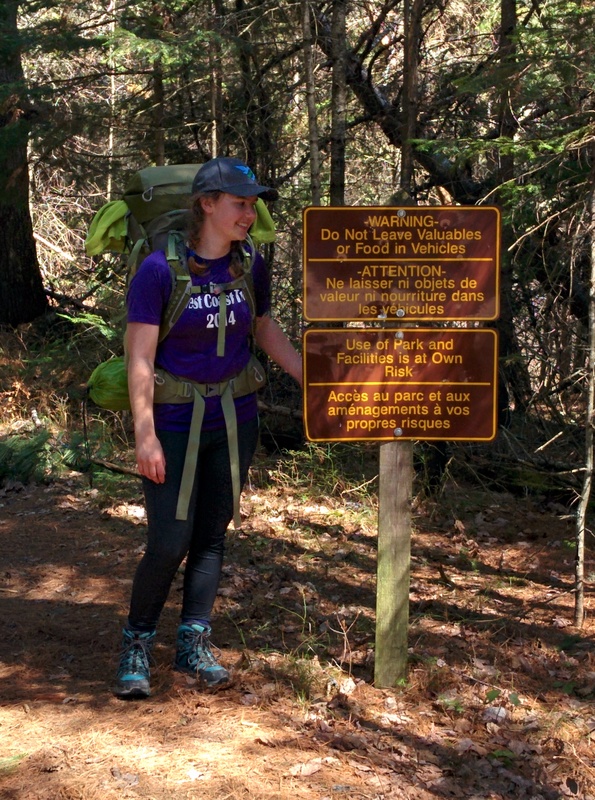 Yesterday, we dropped Heather off at the trailhead of the the Highland Hiking Trail in Algonquin Park. 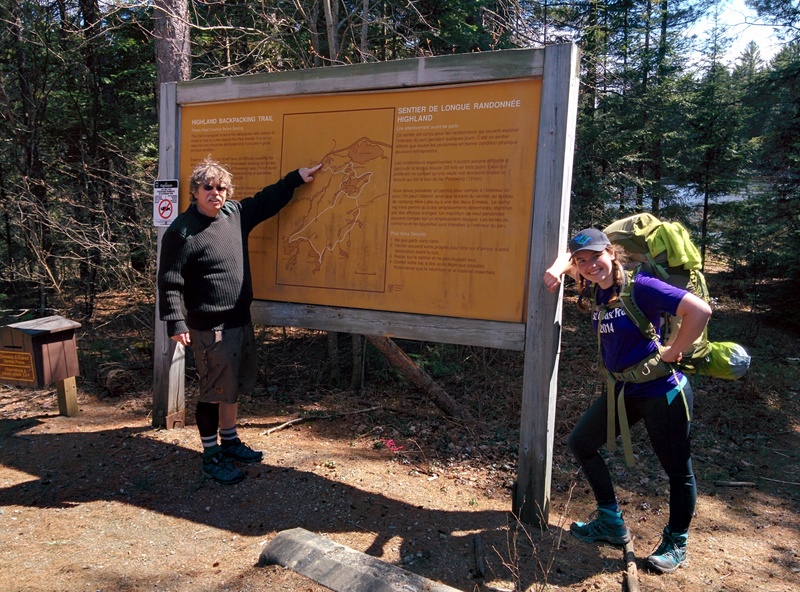 She doesn’t start at the village till next week (…long story), so she is hiking this week to kill time, and I suppose because it is one of her favourite things to do. I had the day off and Alan took the day off so we could go together to take her up. Her cousins will pick her up on Saturday on their way through the Park to mums for the long weekend. Here they are. What Alan is covering up is the part of the sign which says don’t hike alone. Which is one of the reasons I am awake at 4 in the morning, although it is dawn and so time for the other people to soon find her lifeless body on the trail, don’t you know… It was great to be back, however briefly in the land of Tom Thompson. 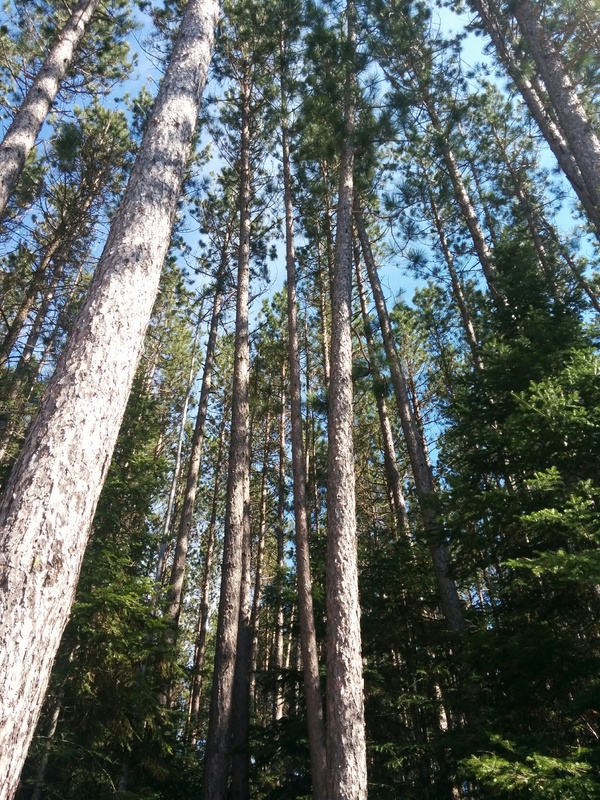 I spent five feild seasons in Algonquin park when I was Heather’s age, back in my biology days. It is truly one of my favourite places on earth. No matter where I go, it will always be one of the best. 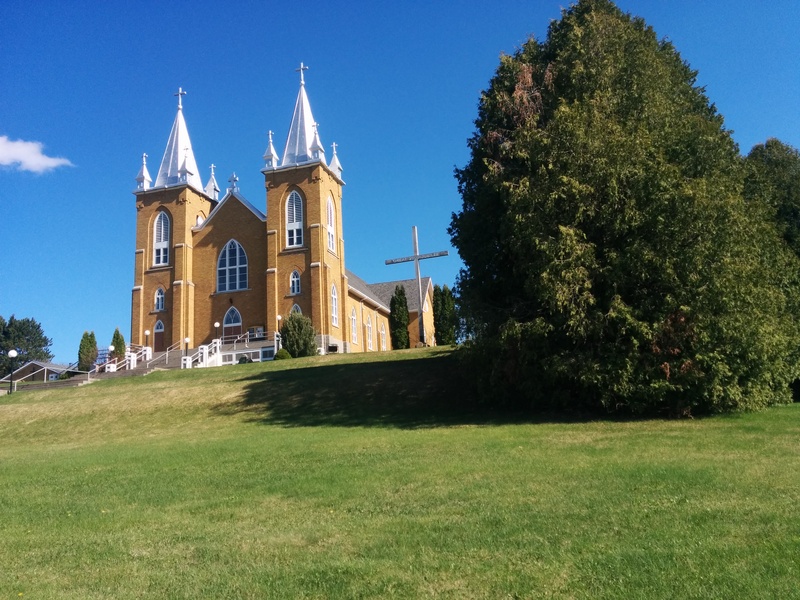 This church on the way up to the Park has always killed me. It is literally in the middle of nowhere, yet it is so huge. When you google the nearby village of Wilno, Ontario, you find out about its “famous” annual chicken dinner. 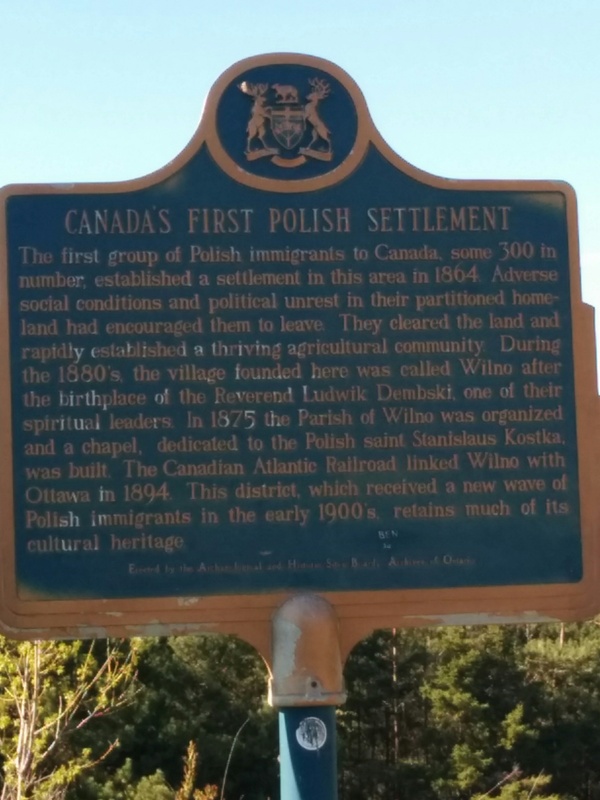 This nearby plaque explains the history of the Polish settlers in the area. There was probably a lot of timber money in the past to bankroll the church. 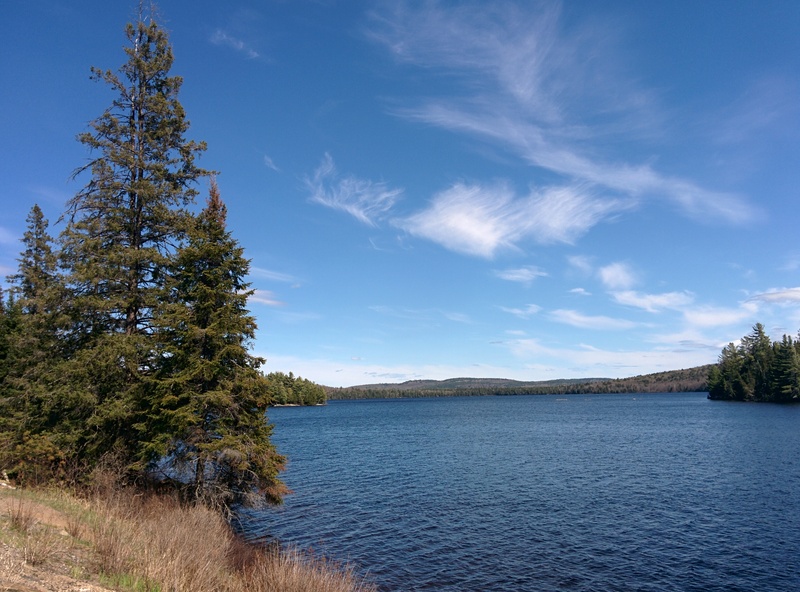 They clearcut the whole area and sent it floating down the Madawaska River and on to the Ottawa River and the world at large. I remember seeing the log booms from the Peace Tower of the Parliament buildings as a kid, when they were finishing up the process 50 years ago. This is the trees now. Still beautiful but not really very old. 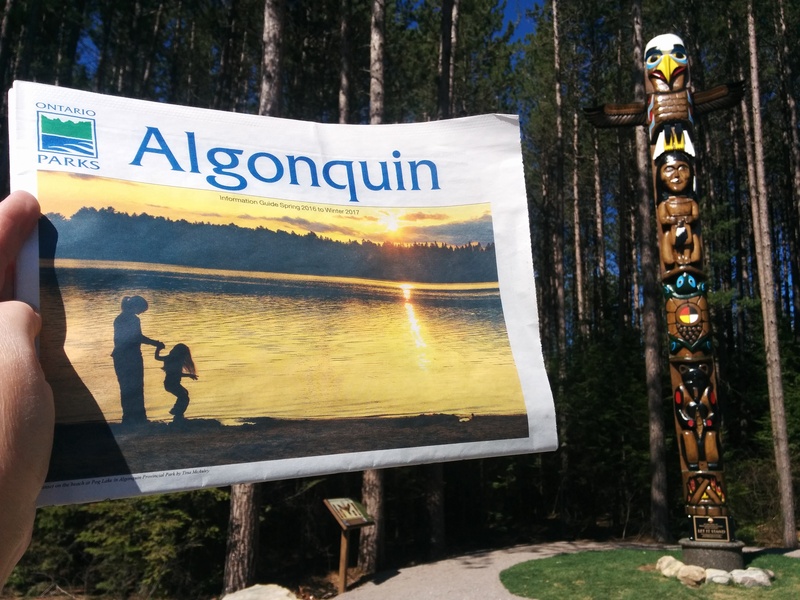 This entry was posted in travel and tagged Algonquin Park on May 17, 2016 by gillianknitter. Good luck to Heather…I hope she has lots of bug spray to ward off those mean little black flies…yes they have arrived despite the cold temps. 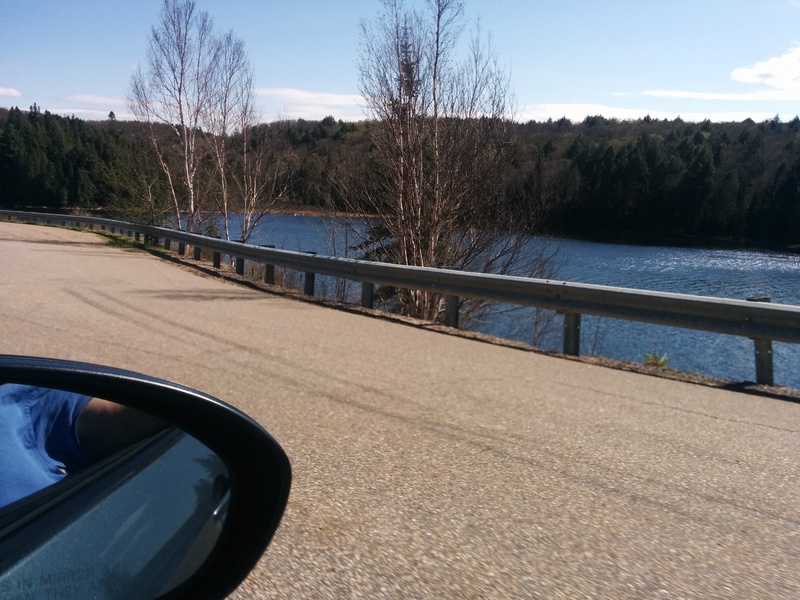 Ahhhh…the Wilno chicken dinner on Labour Day weekend and the Round Lake roast beef dinner on Thanksgiving weekend….can’t beat the $13 to $15/plate cost for a full all you can eat home cooked meal and pies for dessert. Beautiful Gillian. You have an independent daughter, as I would expect!